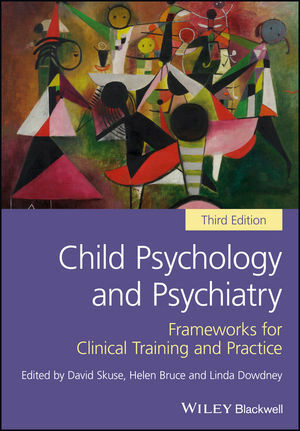 Child Psychology and Psychiatry, Third Edition is an indispensable resource for psychologists and psychiatrists in training, as well as experienced clinicians who want to stay abreast of important recent developments in the field. Comprehensive in coverage and much broader in scope than competing titles, its clear, concise entries and abundance of illustrations and visual aids make it easy for busy professionals and interns to quickly absorb and retain key information. Written by expert clinicians and researchers in a wide range of disciplines within or relevant to the fields of normal and abnormal childhood development, Child Psychology and Psychiatry includes contributions from clinical psychologists, neuropsychologists, child psychiatrists, pediatricians, speech pathologists, and developmental psychology and psychopathology researchers. It has been fully updated for the DSM-5 and reflects the theoretical, structural, and practical developments which have taken place in the world of child psychology and psychiatry over recent years. Child Psychology and Psychiatry, Third Edition is an indispensable learning tool for all of those training in clinical psychology, educational psychology, social work, psychiatry, and psychiatric and pediatric nursing. It is also a valuable working resource for all those who work professionally with at-risk children and adolescents. Dr. David Skuse is Head of Behavioural and Brain Sciences at the UCL Institute of Child Health and an Honorary Consultant in Developmental Neuropsychiatry at Great Ormond Street Hospital for Children. Dr. Helen Bruce is a Consultant Child and Adolescent Psychiatrist for East London NHS Foundation Trust, Honorary Senior Clinical Lecturer at Barts and the London School of Medicine and Dentistry, and Senior Teaching Fellow at the Institute of Child Health, UCL. Dr. Linda Dowdney is a Consultant Clinical Psychologist and Associate Fellow of the British Psychological Society.